The MSc by Research (Computer Science) matches up students with experts in one of six research disciplines for one year of intensive supervised training. The MSc also offers the opportunity for industrial support and collaboration. Please note: this is NOT a taught degree programme. The programme is aimed at recent graduates who have achieved a good first degree and are looking for the opportunity to do in depth research in a chosen topic under the guidance of an expert in the field. We also expect this programme to be of interest to people wishing to return to academic studies after a period of employment. The emphasis is on quality students who will be receiving expert supervision. The programme will include regular supervision of research work, and advanced course material delivered mainly through tutorial sessions, plus opportunities to take supplementary taught courses, appropriate to individual student needs. Assessment will be based primarily on the chosen research project. Applicants will be accepted for one of these six basic strands, each of which includes many different possible research opportunities, and students will choose a research topic in consultation with their supervisor during their first term. This programme of study runs for one year full-time, or two years part-time. The academic year starts in late September each year. 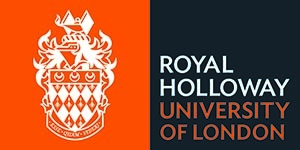 Visit the Computer Science (MSc by Research) page on the Royal Holloway, University of London website for more details!